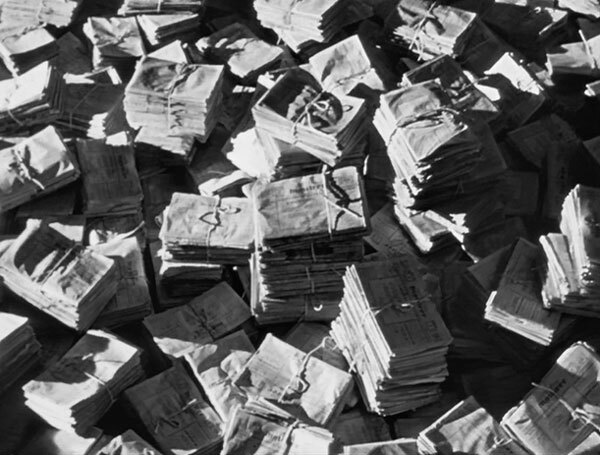 Countless volumes have been written about Orson Welles’ Citizen Kane, which uses every available technique and creates so many new ones. When viewed from a modern perspective, it’s impossible to understand its tremendous influence on movie making. Beyond the technical achievements, this film also represents ambitious storytelling on a grand scale. Welles obliterates the standard flashback structure and introduces multiple narratives that paint an incomplete picture of a complicated man. An intriguing aspect is the portrayal of journalism. 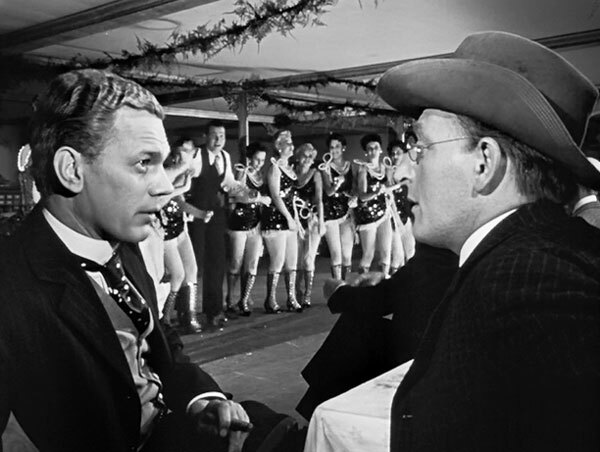 Can a reporter truly understand what made Charles Foster Kane tick? Welles and Writer Herman Mankiewicz drew inspiration from the life of William Randolph Hearst, who owned many newspapers at the time of Kane’s release. Its title character has similarities with that wealthy man, but this is more than just a biopic. They’re exploring the complex nature of storytelling and the corruption inherent in a powerful entity like the newspaper business. This depiction is still relevant despite the ever-changing medium. The news may arrive in a different form, but the bias remains no matter how noble the intentions. The story begins with Kane’s death and the famous “Rosebud’ line then jarringly shifts to the “News on the March” obituary. Modeled closely after the “March of Time” newsreels that ran before movies, it gives a pretty lengthy take on Kane’s life. Despite all the information, it’s strangely organized and veers between praising him and ridiculing his eccentricities. This device is a brilliant move by Welles because it offers enough details to give a brief glimpse at where we’re headed. It’s hardly a complete picture of his life and doesn’t seem objective (if that’s ever possible). The narrator gives equal weight to everything and speaks with that 1930s cadence that makes it all seem false. The videos show the public perception of Kane, and the next step is digging into his actual life. The newsreel ends, and we realize it’s being viewed by journalists who work on compiling these segments. Reporter Jerry Thompson (William Alland) is tasked with discovering the secret behind “Rosebud” to understand the man. These guys appear in shadow and aren’t considered important as individuals. 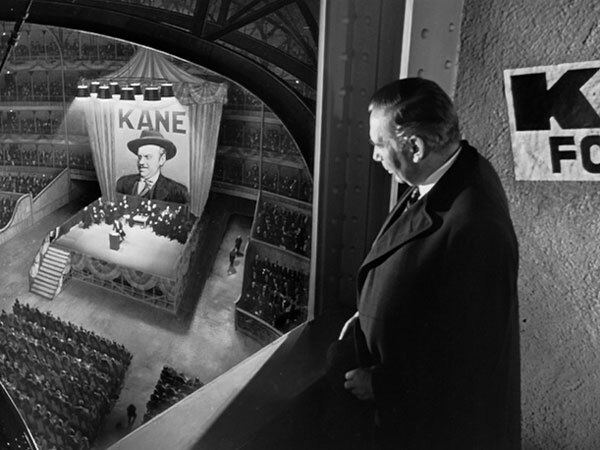 Thompson is Welles’ device to present Kane’s life through the people that knew him. Thompson’s visits to Kane’s closest associates bridge the gap between the segments that show pieces of his life. We spend a significant time following him through the investigation, but we never get a clear view of William Alland. This choice keeps the focus on Kane and not the guy who’s learning about him. When Thompson goes to read the memoirs of Walter Parks Thatcher (George Colouris), he’s dwarfed by the massive room. He’s an insignificant guy who’s grasping at straws to find a truth that isn’t out there. His first subject is Susan Alexander Kane (Dorthy Comingore), and she immediately throws him out. This journalist’s power is nonexistent, and what he uncovers is mixed at best. Welles presents Thompson as a well-meaning and friendly guy, but he matters little. We view him from behind or in the shadows, and his nondescript clothes make him just a guy. This film uses the structure of Thompson’s investigation to tell the story, but it gives him little personality. He’s a stand-in for the audience and takes us where we need to go to uncover Kane’s history. 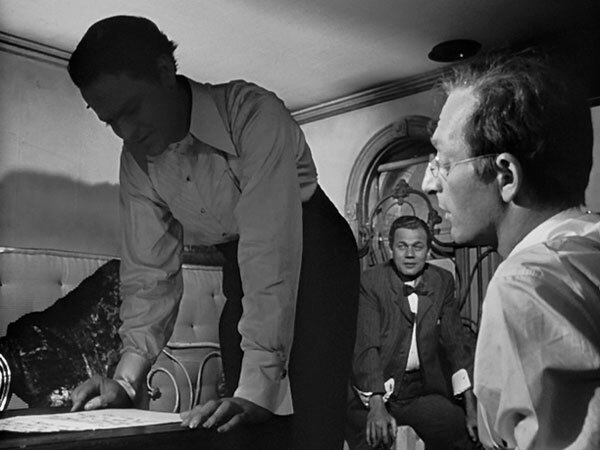 A pivotal scene in Kane’s young life is the signing away of his youth by his parents. Welles shows the carefree boy in the background yelling “the Union forever!” and even feigning death while the transfer happens. When he reaches adulthood, Kane’s lone creative outlet is the newspaper. He throws everything into running the New York Inquirer, and that excitement represents his lost youth. His entry into the offices is played for laughs as he pushes out the stern editor. Kane is having a blast and ready to seize the day, though his interest in fair journalism is fleeting. He writes a “Declaration of Principles” about doing things differently, but he’s constantly referencing the competition. Kane may spin his paper as the independent voice, but he’s just the upstart who wants to play with the big boys. When he reads this Declaration, Welles shoots him in shadow, which subverts the positive words. It’s easy to miss the signs of his future corruption in these early scenes. His friend Jedediah Leland (Joseph Cotton) is won over by his declaration, but it’s just the bluster of the new guy in town. He’s an individual on track to become just like the giants running the show. Kane’s early days at the Inquirer see a rise in circulation and happy days for the staff. The pinnacle is a raucous party celebrating his acquisition of all the main reporters from the Chronicle. Kane joins the dancing girls on stage and has a grand old time as a singer praises his greatness. Looking beyond the excitement, there are two warning signs foretelling his doom. First of all, Leland wisely points out that hiring those reporters will change Kane, possibly for the worse. The question is whether he’s already become the corrupt guy he rails against in the papers. Kane’s goal is to push the United States to war with Spain, and he’ll do anything to make it happen. His “I’ll make the war” comment echoes actual history, but Welles is doing more than pulling from reality. Instead, he’s showing how Kane has already given up the tenets of the Declaration of Principles long before he goes off the deep end. Those hints come to fruition as Kane gags on the silver spoon. He throws away his marriage and political career and gets burned by the same tactics he mastered. Boss Jim Gettys (Ray Collins) smears him in the papers and maintains his power. While Kane gives his fiery speech about helping the working man, the camera pulls back to Gettys watching him from above. He’s truly in control and won’t let his careless opponent kick him out of office. Kane’s become a lone voice trying to prove his relevance while his enemies laugh at his misfortune. He pursues Susan’s singing career with grim determination and refuses to accept defeat. A brilliant montage of newspaper headlines from his paper show those efforts while revealing her lack of talent. He tries to make the news again, but the world is changing around him. Leland recognizes the hypocrisy in Kane and calls him on it, but he’s too far gone. He’s become a monster who sees nothing beyond his single-minded worldview. The revelation about "Rosebud" gives the audience the desired information, but it says little about Kane. He’s obsessed with the childhood that he lost, and the simple reading blames everything on his parents’ choice. However, that’s too easy and lets him off the hook for the miscues as an adult. A charismatic, intelligent guy like Kane had everything and threw it away. 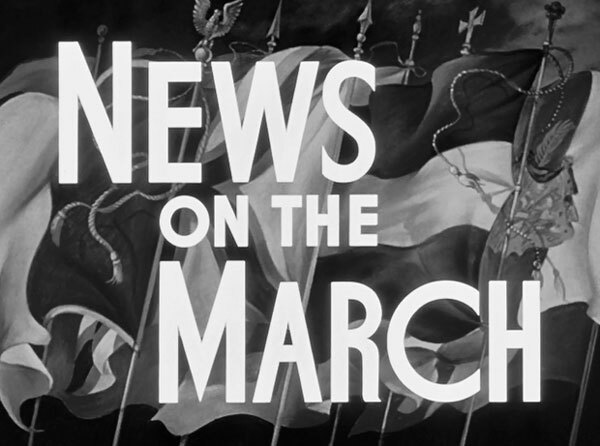 In his final scene, Thompson’s claim that “I don’t think any word can explain a man’s life” is a mission statement for the movie’s outlook on journalism. Reporters may go for the straightforward explanation, but life’s rarely so simple. After two hours seeing Kane and hearing from his friends, countless questions remain unanswered. 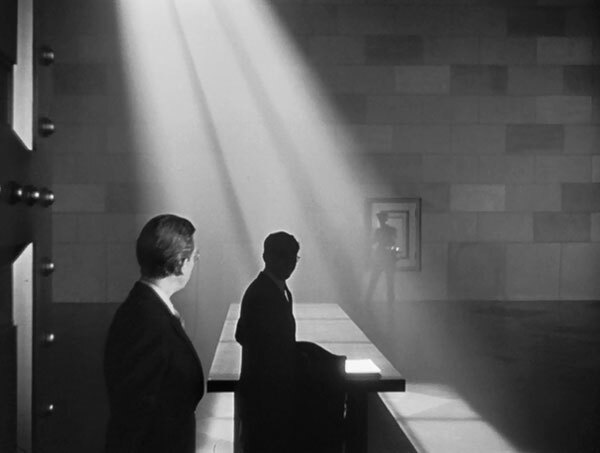 Welles gives us clues with distinct camera angles and shot placements, but they present the obvious themes. Kane’s life is a jigsaw puzzle, and this incredible film reveals just a few pieces. I'm glad I chose this film as one of my Blind Spots as it definitely led me to discover more of Orson Welles' work. It's truly a work of art. No arguments here. I first saw Citizen Kane in a high-school film class, and I think that really affected how I look at it. It doesn't feel like a stale older film and remains so effective. There are so many remarkable shots. I'm glad you were able to finally see it. Thanks. I've wanted to write something about Citizen Kane since I started the blog, and seeing Ace in the Hole gave me the idea. I catch something new every time I watch it, and it had been far too long. Great piece as always, Dan. You have a way with words that I find very engaging. I must admit I've only seen Citizen Kane once (in my first year at university as part of an "Introduction to Film" course) and I walked out of the lecture and screening despising what I had just seen. Although I could appreciate it as a work of art as well as its importance in cinematic history, based purely on entertainment value I despised it. That said, that course was quite a few years ago now and this film is most definitely overdue for a rewatch. My mind has been broadened tenfold since then so I'll probably give it a second go and love it. Leith, I remember similar reactions from a lot of students in the film class that I took as a senior in college. A few loved it, but a lot thought it was bad. The tricky part when looking at it in terms of entertainment value is the second half, where we see all the ugliness inside Kane. 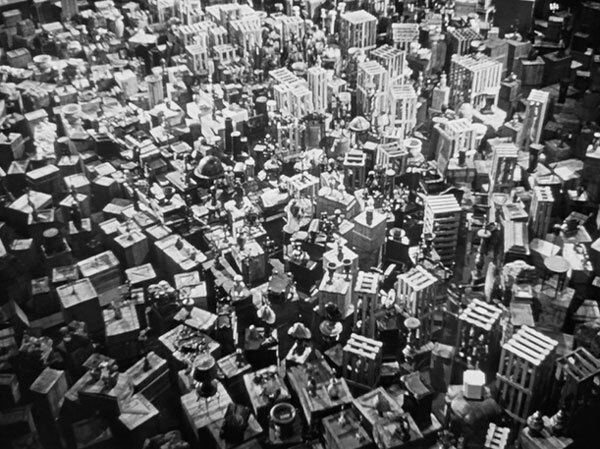 It isn't an easy viewing, but what Welles accomplished is amazing. I appreciate the compliment! Thanks for your work here, Dan. So many perspectives on the "greatest" film, and your approach is both fresh and solid. One of my favorite films of all time. Steve, I appreciate the kind words. There's so much to explore in Kane that I recognize new things each time.